I have two traditions I enjoy every year on New Year’s Day. Unfortunately, one kind of offsets the other. Every year on New Year’s Day I run in a place I don’t normally run. 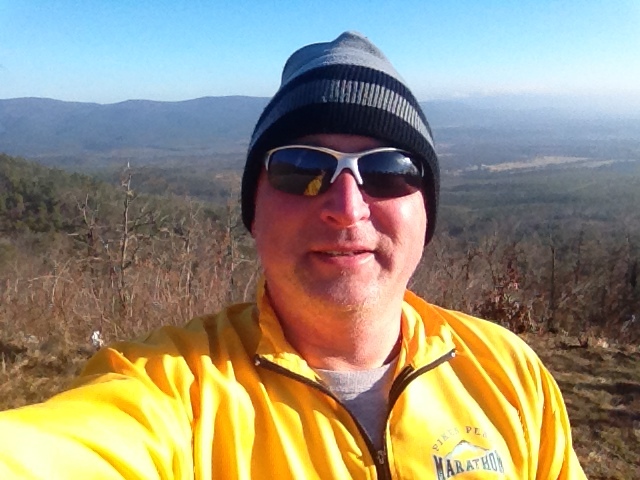 Today, I got to enjoy running up Rich Mountain in Mena, Arkansas. Well, ok, “enjoy” might not be the right word. The right word might be “survived.” The temperature was in the mid 20s, with the wind getting stronger the farther I went. Nevertheless, it was a good workout to start the new year. And the best part of running a mountain? Once you turn around, it’s all downhill! My other favorite tradition is having a corned beef sandwich. Not sure when I started, but I’ve been doing it for years. 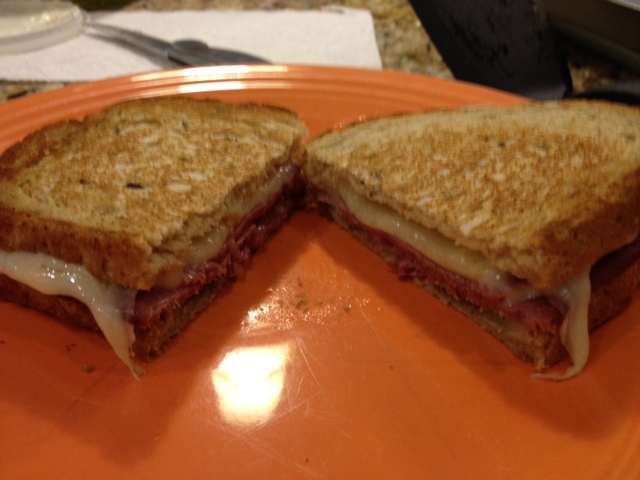 I make mine with corned beef, Swiss cheese, and sandwich spread on rye bread. Some people want to put sauerkraut on theirs, but not only am I not going down that road, I’m not even going to look in that direction. I warm mine open-faced in the oven for a few minutes, then grill it for just a minute on top of the stove. Then I add a kosher dill and some chips on the side, and I’m set to go. Yeah, I know, it’s not really the healthiest meal to start the new year. Or two meals, if I decide to have another one tonight. But hey, I figure the run this morning helps offset it. 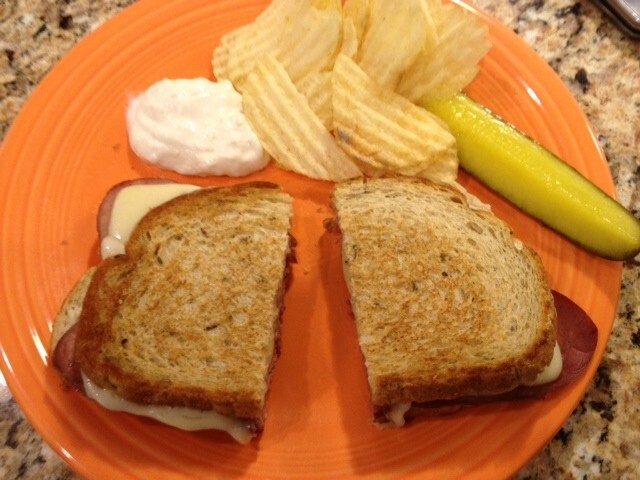 And even if it doesn’t matter, the corned beef sandwich is too good to give up, even if it does slow down my running. Now, to enjoy my sandwich with some football . . .